Shanghai hotels: discount reservation system offered by chinahotelsreservation. You can choose from a lot of hotels, hostels, apartments, in Shanghai, China. Airport transfers for Shanghai hotels also available. Up to 70% discount on Shanghai hotels. For detailed Shanghai hotel information or to reserve a hotel please click on Shanghai Hotels list. Shanghai Hotel Welcome to ChinaHotelsreservation booking system for Shanghai hotels, accommodation and traveling in Shanghai, China. 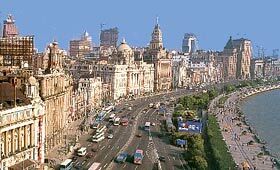 You can choose from a lot of hotels, hostels, apartments, in Shanghai, China. Airport transfers for Shanghai hotels also available. 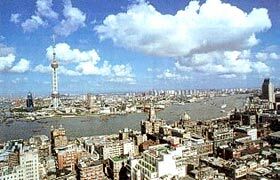 Up to 70% discount on Shanghai hotels. Shanghai is the most populated city in China (approximately 13 million inhabitants) and its biggest industrial city. An importat site of international business and exchange, Shanhai maintains famous testimonies of its past alongside extremely modern buildings. Not to be missed are the Monastery of the Jade Buddha (Yufo Si), Shanghai Museum, Bund (ZhongshanLu), Longhua Park, and Mandarin Garden (Yu Yuan).